September 1 means different things to different people. I have a handful of friends who call it their birthday. Here in Boston, it’s moving day (and holy hell, there are a lot of people moving today). For others, it’s the start of a new school year. 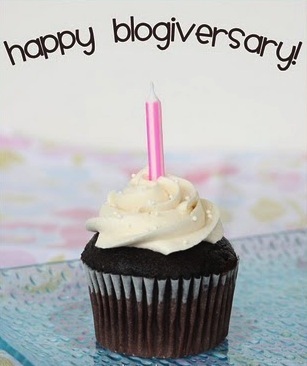 But for me, September 1 will always be the anniversary of the day I started this blog. This year marks six — count ’em, six — years I’ve been blogging, and I like to mark the day, not just to look back on what I’ve written, but to pat myself on the back for my dedication. It’s no secret that I’m lazy and easily distracted. When I started blogging, I hardly thought I’d keep this blog going for one year, nevermind six. But I have, and I’m really proud of myself for that. Of course, a lot has happened in those six years. And yet, time and again, I come back to my blog to share longer-form thoughts, whether they be about my nephews, travel experiences, or, ironically, Twitter itself. I may have written my last blog post this year, but thankfully, that wasn’t literal. So … Six years in, this blog may not be the active one it once was, but it’s still alive and well. And I’m going to keep on writing. Happy blogiversary to me, and as always, thanks for reading.